The Family Chess Package is ideal if your family love Chess or you would like to encourage your children to play the game. 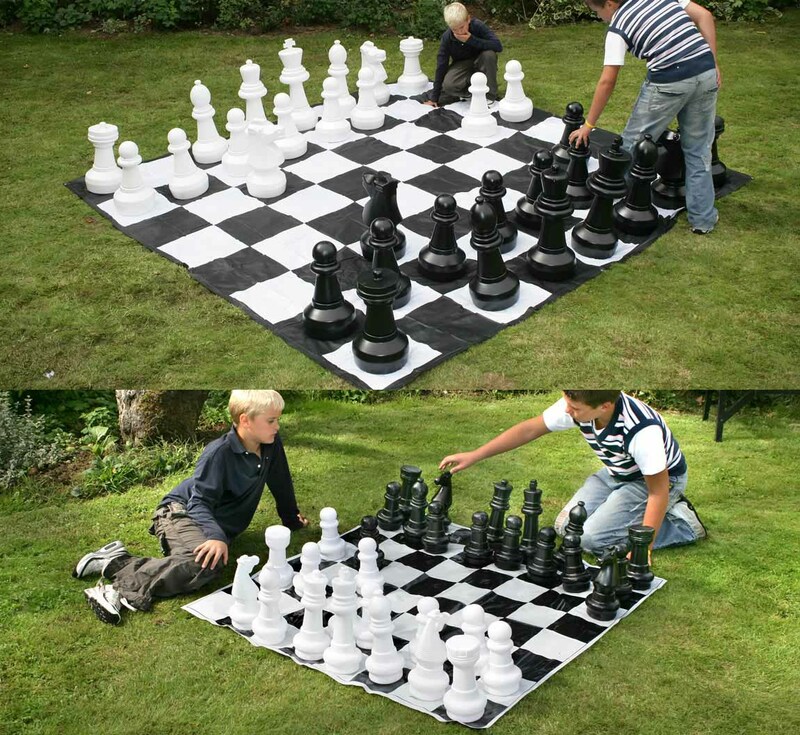 Why not set up the Garden Chess set alongside your Giant Chess set so your children can enjoy a game whilst you play too. The Garden Chess set can be a great educational tool. You can show younger people how to play by demonstrating with the larger set. The game teaches great skills such as logic and strategy as well as working as a team. The Giant Set is an impressive set, one which will add a touch of class to any garden, whilst the smaller set is great to be taken in and out of the house quite easily by the children. Perfect for parties and gatherings - challenge your friends and family to a game!